Christopher Seymour, CEO of Carcloud, visited the World Congress on Intelligent Transport Systems in Melbourne, Australia. He provided his key takeaways of the event for Auto Rental News. 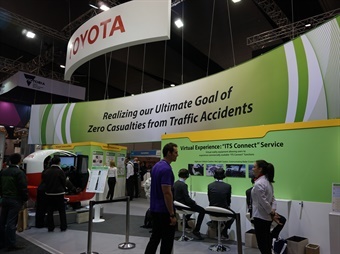 The World Congress on Intelligent Transport Systems is an annual transportation technology event that attracted 11,500 delegates. In October, I went to learn what’s happening and how it impacts auto rental. 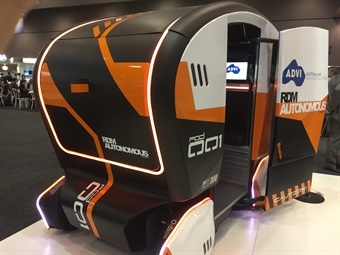 This year, there was a big focus on automated (or self-driving) vehicles, an area that has major implications for auto rental with some significant threats and opportunities. The weeklong event included live demonstrations, tours, and workshops as well as more formal research and technical sessions. All the major auto manufacturers were in attendance and happy to share their visions for the future. - Volvo and Uber have a $300 million joint venture to create a fully autonomous car by 2021. - GM has invested $500 million into Lyft. Lyft is aiming to have 50% of its rides fully automated by 2021. - Ford and BMW have also committed to a 2021 date. - Apple has invested $1 billion into Didi, a Chinese ride-hailing company. - VW has invested $300 million into Gett, a taxi-hailing company. What’s significant here is not just the level of commitment and competition; it’s also that auto manufacturers are getting involved in consumer applications. If you follow the investment trail, you will find that the people making vehicles also want to provide the on-demand or rental experience. For a car rental company, this means your suppliers will become your competitors. A consistent trend at the World Congress was the rise of mobility as a service (MaaS). This is an approach where users can access multiple forms of transport when they need them, usually with integrated payment or packages. Currently, there are cities where you can access rail, buses, or carsharing services all through a combined transit card; this type of card will become more widespread. In the travel industry, most sales are conducted by brokers and other third-party services. This mode of distribution will come to public transport and other types of transportation to blur the line between the travel industry and the public transport sector. Governments have realized that building roads are expensive and are looking for ways where technology can help solve transportation issues. They also recognize the financial opportunities that new business models will bring and are trying to attract the brightest brains to their areas. One example is RELLIS in Texas that features a new $150-million facility focusing on driverless vehicles, while “fake” towns around the world have been created to test autonomous vehicles. - Self-driving cars can eliminate inner-city parking, freeing up new space for redevelopment. - Increasing average vehicle occupancy is the cheapest way to reduce congestion (i.e. if there are more people in each car, there are fewer cars on the road). The ideal world for government is one where there are fewer cars on the road and we are more open to alternatives to car ownership. Private car ownership is highly inefficient, with most individuals using their cars only 4% of the time. If self-driving cars mean this percentage increases (i.e. we use our cars more frequently), then we could have massive congestion problems. Reduced car ownership is one of the major goals for all governments, and it represents a huge opportunity for car rental companies. If a better car rental experience — combined with better public transport — can reduce car ownership, then we collectively grow the car rental market. We’re already starting to see this trend among city dwellers and millennials: don’t own a car but rent one when you need it. Car rental will change significantly over the next 10 years, but that does not mean it will be a gradual change. Look at how Uber disrupted the taxi industry. Once the technology was viable, the shift happened very quickly. There are significant investments being made by the biggest automobile and technology companies in order to take ownership of the customer experience for on-demand vehicles and self-driving cars. The lines between ride-hailing companies like Uber, Lyft, vehicle manufacturers, and car rental operators will become very blurred over the coming years. And if car rental companies do not adapt, they risk becoming obsolete. This year, we’ve seen self-driving cars make it onto our roads in many cities, and it will be interesting to see how far they advance before next year’s ITS World Congress in Montreal. Christopher Seymour is the CEO of CarCloud, an e-commerce and website platform that works with car rental companies to develop more effective website, including mobile responsive websites.